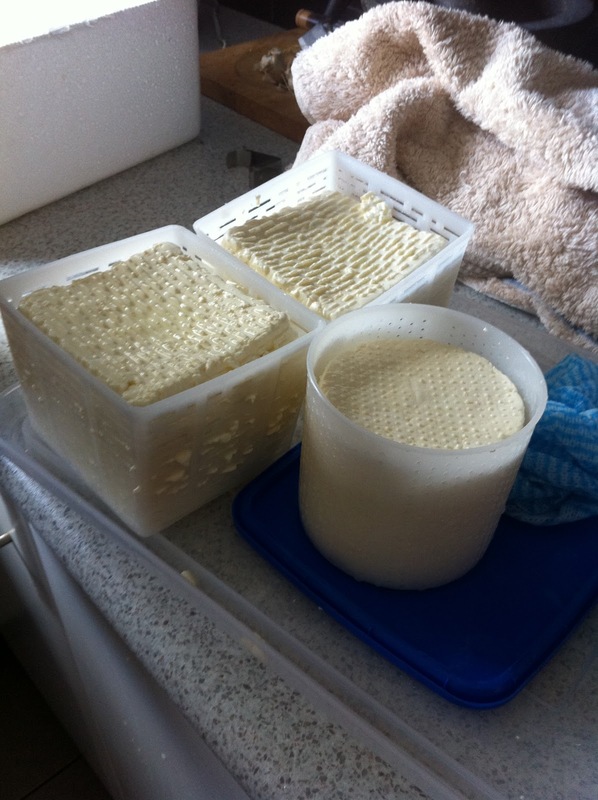 Part 1 on Making Feta was posted yesterday. Feel free to go back and take a look here. Intermission is over and after sleeping for 4 hrs, up at 5am, housework, driving, an 8 hr work day and then home again to make dinner, I'm feeling quite refreshed and ready for Part 2. The Greek word "Feta" comes from the Italian word "Fetta" which means "slice". Since 2002, feta has been a protected designation of origin product in the European Union. 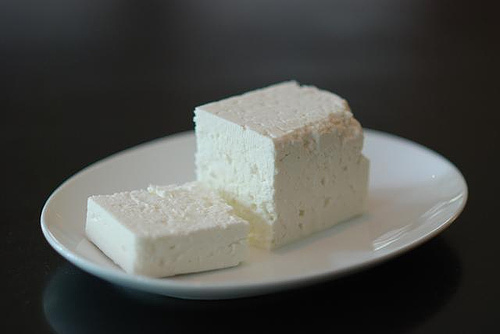 According to the relevant EU legislation, only those cheeses produced in a traditional way in some areas of Greece (mainland and the island of Lesbos), and made from sheep milk, or from a mixture of sheep and goats’ milk (up to 30%) of the same area, may bear the name "feta". 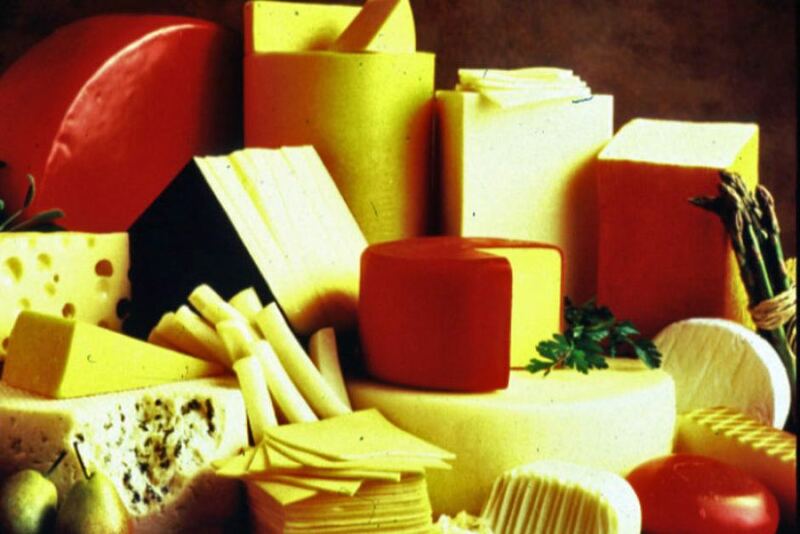 However, similar white brined cheeses (often called "white cheese" in various languages) are found in the eastern Mediterranean and around the Black Sea. Similar brined white cheeses produced outside the EU are often made partly or wholly of cow's milk, and they are sometimes called "feta". Remember how introducing bacteria into the warm milk gives the cheese flavour. This is done by adding a Starter. A Starter contains one or more characteristics such as acid, enzyme, flavour or gas production (carbon dioxide). The most important one of these for cheese production is acid. It helps the curd shrink, helps prevent the growth of spoilage bacteria and helps to determine the characteristics of the cheese. 1ml of fresh liquid starter contains about 200,000 living starter organisms. Coooooooool! Starter grains can be introduced directly to the recipe if making cheese like Quark. What did I say? Quark - it sounds like a bird choking. I've heard this term before on some of the blogs i follow written by earth mother types and hippies (LOL) but for those of us that swim in the middle of the lane, Quark is a German style fresh cheese, similar to mascarpone and fromage frei in consistency however contains the cultures of a yogurt to give it a mild tartness. Quark is a soft unripened cheese otherwise known as European Cottage Cheese. It is used in cooking instead of cream cheese or flavoured for deserts or on crackers. For ease of measuring when the correct quantity of starter is critical, it is easier to make a liquid starter so that the quantities are larger and can be more easily measured. Its a bit like putting carrot seeds with sand in a shaker rather than trying to pick up individual seed and put in a drill. Does the same job, but easier. Im my world, cheese is better than chocolate, better than .........! Type A Starter - $18 from Cheeselinks Each pack contains enough culture to use with 250L of milk, and make between 20-30kg of cheese! Sanitise a jar and lid and add enough long life (UHT) milk to make the starter you need. Place a small quantity of starter granules (1/10th of a teaspoon per litre is a good dose) into the jar with the milk in it. Give it a swirl to mix the granules and if it still isn't mixed keep giving it a gentle swirl every 5 minutes until they are all dispersed throughout the milk. Incubate the milk by keeping it at between 20-30'C for between 12-24hrs. If you use the higher end of the temperature range then the milk will set quicker and vice versa. Once set, it should be kept in the fridge until used. Use it within 2 days and add to recipe when required. Isn't this cute. A little heat bag ring and hat to keep the starter warm while it is setting. Vegetarian Rennet 125g - $13 Cheeselinks Used for setting milk when making cheese, and for making junket. Enough to set 625L of milk. An animal based enzyme to advance the flavour of hard Italian cheeses like Feta, Romano, Parmesan and Mozzarella. It give the cheese a more traditional flavour. It is optional. Must be stored in freezer. Used when making Feta and Italian cheeses to produce a more traditional flavour. Enough for up to 1,000L of milk. When using pasteurised milk bought from the supermarket, Calcium Chloride is recommended to help the Rennet make a firmer curd. This is generally used when making Cheddar and was not necessary for making Feta. All this sound like its too much work but its really not. Its about having everything prepared, knowing what you are doing in advance and then just quickly moving through the stages. This is why i recommend a cheese making course to start with. Did i advertise that this post was about making Feta, because I seem to be heading off on a tangent. I'm going to try and stick to Craig's notes just in case I mis-remember something and you all end up with some kind of wicked food poisoning or cheese that taste like crap. For the beginner, it is sometimes easier to buy a starters kit. It come with all the utensils and ingredients necessary to make the cheese of your choice. This one is for Feta but they can all be used for making other cheeses as well. Also, many of the items, you might already have in your kitchen or could adapt. This is for your information only and i have no connection at all with Cheeselinks. 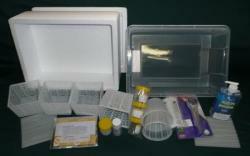 ﻿Click here to see contents of kit and price breakdown. I think that you could get the thermometer a bit cheaper elsewhere. 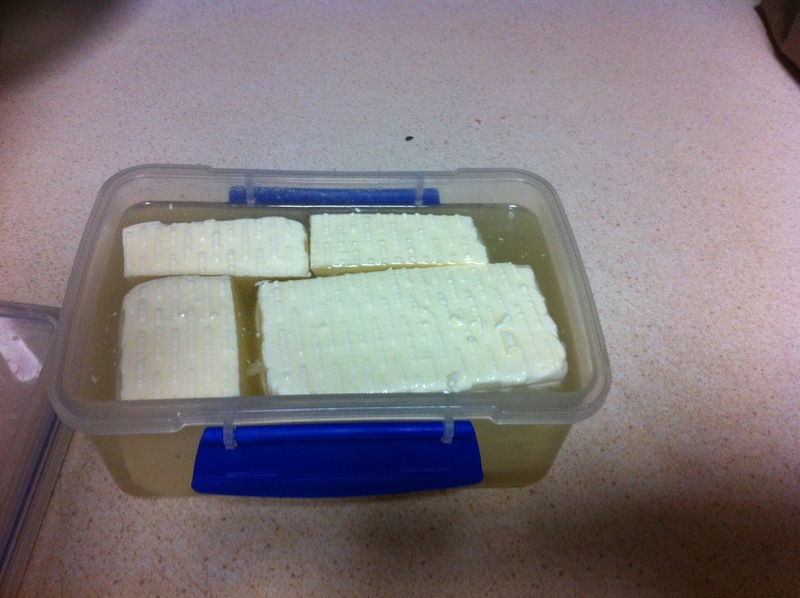 It contains enough cultures to add to 250L of milk, which makes over 32 kg of Feta cheese, and about 150 cheeses! ﻿We used 8L of milk to make this much feta cheese. Craig went to the trouble of procuring un-homogenised, un-pasteurised milk so that we could learn all the processes rather than buying it from a supermarket. If you are producing cheese for others then you can also buy pasteurised un-homogenised milk. Schulz Organic Timboon supplies "Bath Milk" which is un-homogenised, un-pasteurised from a single herd organic farm to parts of the South West of Victoria all the way up to Melbourne. Milawa Cheese Shop at 665 Nicholson Street stocks the above "Bath Milk" in North Carlton. Current legislation prevents the sale of raw milk to the public. Jeepers, I practically grew up drinking straight from the udder. It didn't kill me. 1. Bring 8 litres of pasteurised milk to 32'C. 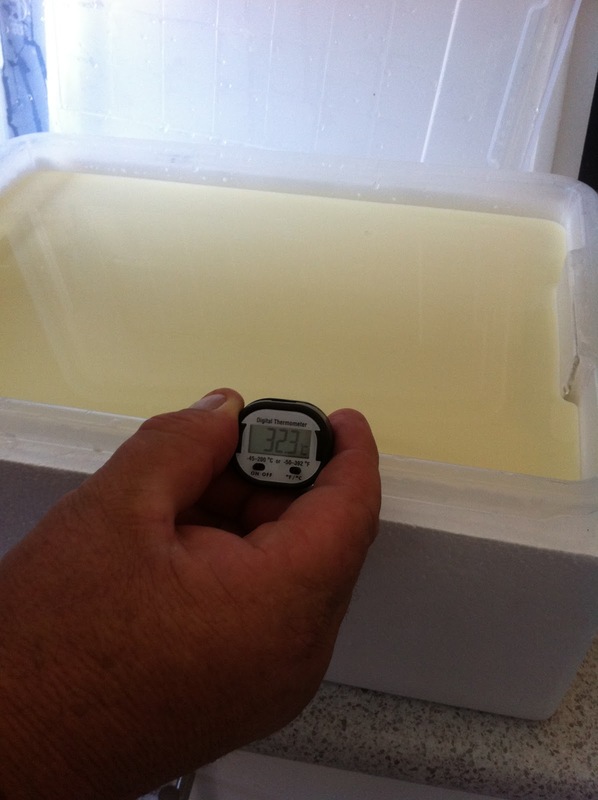 If you have un-pasteurised milk you will have heated it to 68'C and be letting it cool to 32'C - see Part 1. 2 Add 160ml of prepared Type A Starter (20ml per litre of milk). 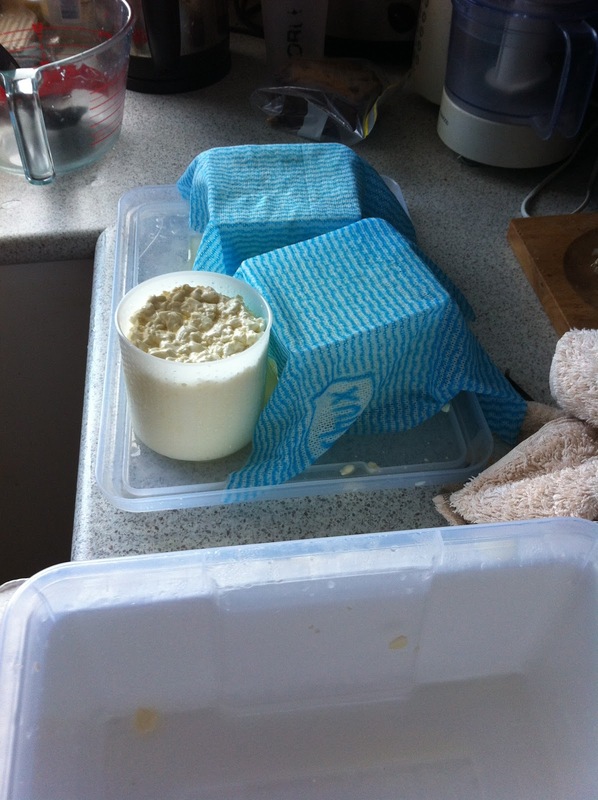 Place the milk into a plastic cheese vat that has been sanitised which should sit inside a foam container. This will insulate the milk and maintain temperature through the cheese making process or you could use a warm water bath for this. Add about one eighth of a teaspoon of lipase powder to 50ml of cool boiled water. Mix to dissolve then pout into milk and stir. The Feta can be made without the lipase, but adding it will give a more traditional flavour. Note: Every time you are asked to use a utensil or container, remember it must be sanitised by either the hypochlorite bath or boiling water immediately before use. Every time you stop and start to do something, sanitise your hands, again. 3. Sanitise the syringe and the rennet medicine cup with boiling water, not the hypochlorite bath. Add exactly 1.04ml of rennet (0.13ml per litre of milk) into roughly 20 ml of cool boiled water and add to the milk whilst stirring. Mix for 2 minutes. Keep the milk at 32'C if you put your lid on the plastic cheese vat, then the lid on the foam container and cover with towels (see Part 1) you will insulate sufficiently to maintain temperature or by placing the vessel in a warm water bath. Allow milk to set. This should take 60 to 90 minutes. 4. 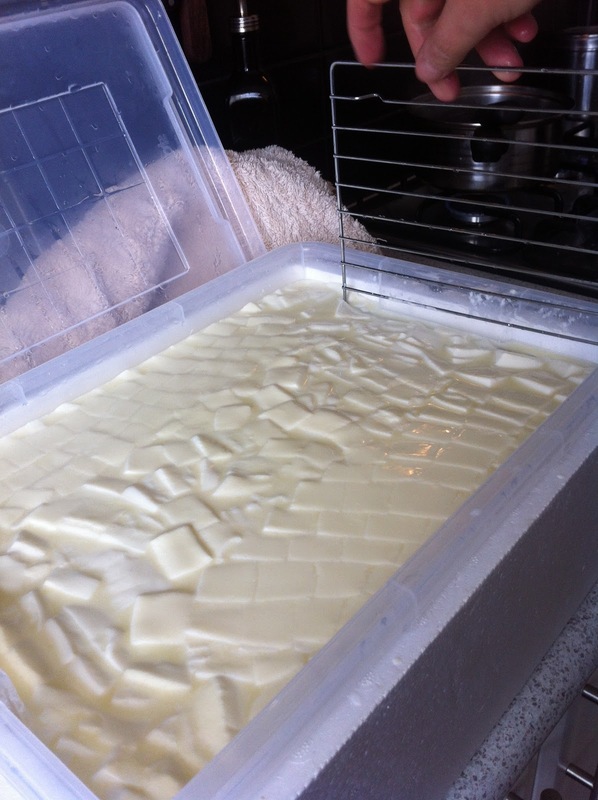 Cut the curd into 1.5cm cubes. Cut size determines cheese frames. The smaller the cut the firmer the cheese. Check the temperature of the whey. If it has dropped below 30.C take the plastic container out of the foam box, add about a cup of boiling water to the foam container and return plastic vat back into the foam container. We did this twice during the whole process and temp stayed at 32'C throughout. Cutting the curds. First you cut it one way with a knife being sure to be touching the bottom of container and then you use a skimmer the other way. 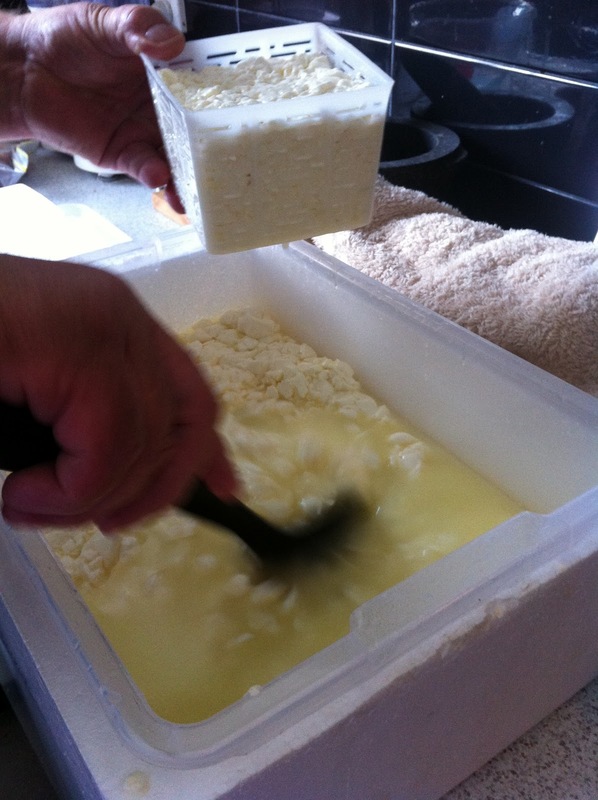 You are cutting the curds into small cubes. The finer the cubes the finer the texture of the Feta. I like Danish Feta so i would make it really fine. 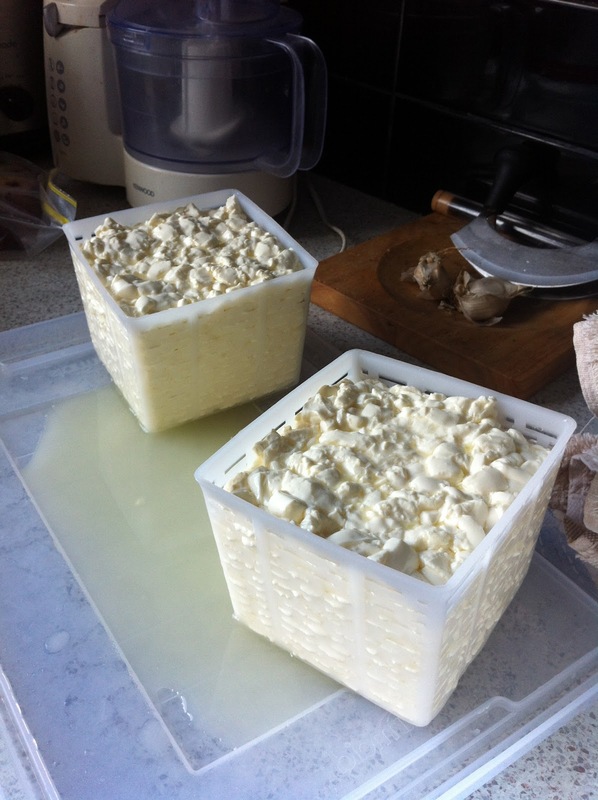 Others like a crumbly Greek Feta for salads and so they would make bigger cubes. 5. 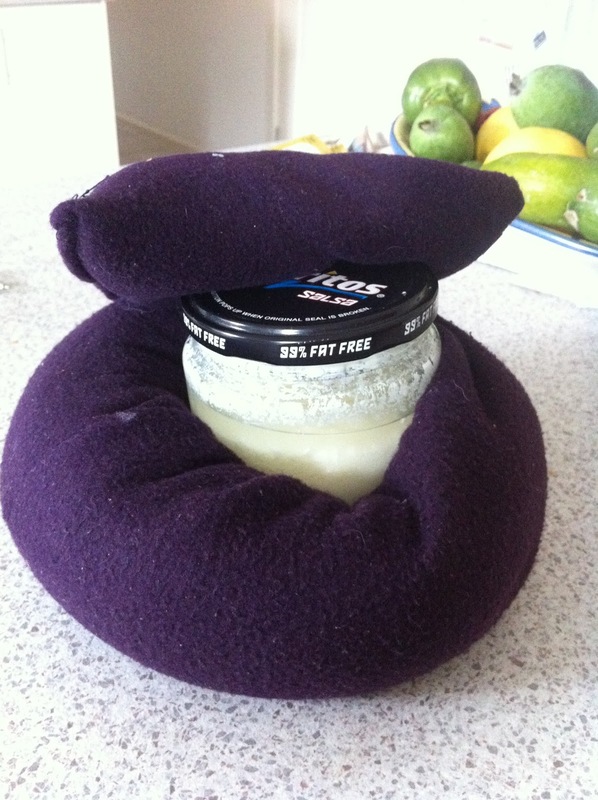 Allow the curds to rest for 30 minutes. 6. Turn all the curds gently with a skimmer and cut any large particles that may have been missed in Step 3 with a sharp knife or spatula. Put the skimmer under the curds and lift all the curds to ensure the curds have been separated. You may need to wiggle your hand and have the skimmer on an angle to allow the curds to separate as you lift. Check the temperature (sanitise thermometer first) and if necessary add more hot water to the foam box . 7. Repeat step 5 and 6 twice. 8. Drain off most of the whey. We got 6L of whey from the 8L of milk. It was placed into a thick bottomed pot for reheating to make ricotta. 9. 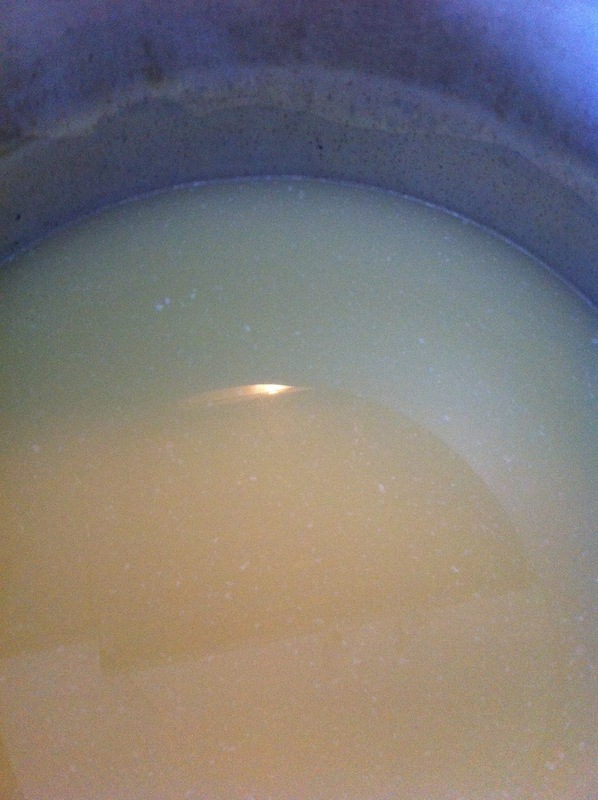 Transfer the curd into the hoops using a large slotted spoon (sanitised). Make sure that you have enough hoops sanitised or you will have to wait for 2 minutes after adding it to bath. 10, Place some cheesecloth or brand new sanitised chux cloth cut to size) on top, then a sanitised lid (ice-cream container lid is fine) and quickly invert the hoops after 5 minutes and again after 1 hour and then every 2 hours for the next 6 hours. These times have some flexibility. The object is to ensure that the cheese is uniform in shape and composition. This last step Naomi and I did at home and it wasn't rocket science. Just keep turning it over and draining away any remaining whey that weeps out and put back in hoop. 11. Before going to bed i made brine for the next day by adding 120gm salt to 880ml of boiled water and allow to cool covered in a fridge. This could be done the night before when prepping starter and getting utensils all ready. 12. Leave the cheese in the hoop overnight. 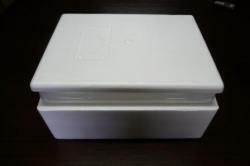 (On the kitchen bench, covered with chux and I also put a lid loosely on it to stop any bugs landing. 13. Next morning take the cheese from the hoop and place into the cooled brine solution. 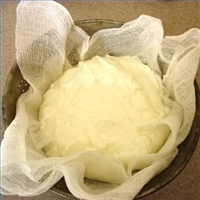 Store cheese in the brine solution in the refrigerator. It can be eaten immediately or stored for months in this way. Note that the container that the cheese is stored in should be only slightly bigger than the cheese to avoid over salting. If the cheese is too salty for your taste, remove it from the brine a couple of days before you want to eat it and place it in a container and cover it with milk. This will reduce the sale level and make it more palatable. 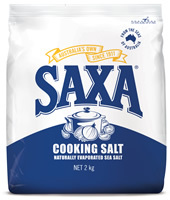 Measure out 250g of salt to make up to 1 litre with boiling water. This will make a saturated brine solution. Place a lid on and leave to cool, either in the fridge if it is going to be a warm night or on the bench if a cool night. How about some cubes placed in a jar of light virgin olive oil and herbs. This is not my jar - im having some tech issues with my phone around midnight. Its one made by Gavin from - Little Green Cheese and Greening of Gavin. 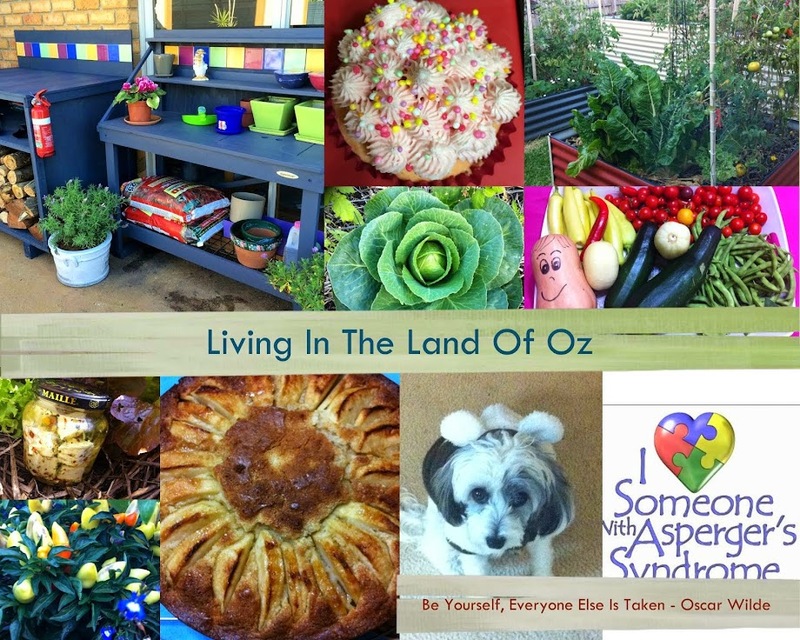 Check out his Ebook and workshops also. Last minute advice from Gavin. When adding feta to oil use 50% sunflower oil and 50% olive oil. It will prevent botulism and stay nice and clear. After all that hard work, we do want to be able to gaze at it with pride. So far i have used it on several salads, and in toasted and fresh sandwiches (sorry, no pictures but he did send me text telling me how great my cheese was). 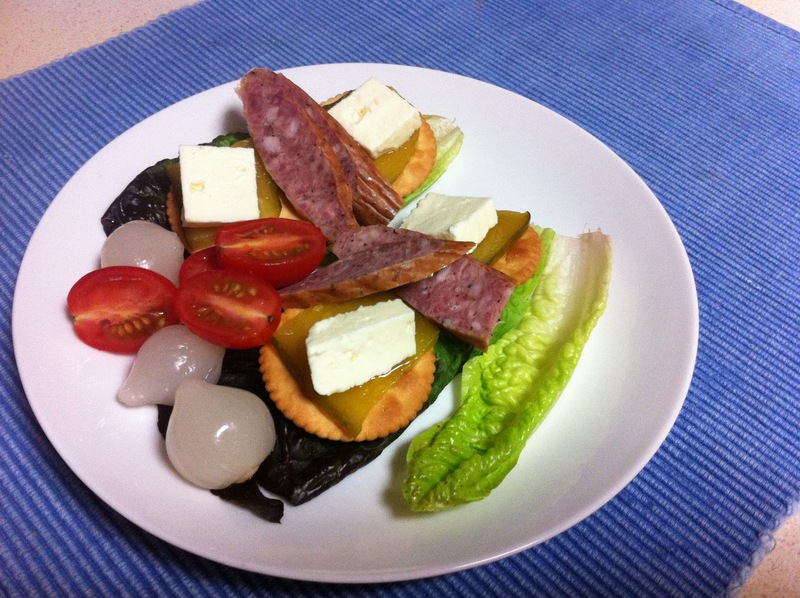 Tonight, because i was waiting for a veggie bake to cook i made a little taster plate for Hubby so he wouldn't starve. I also roasted some pumpkin and onions tonight for tomorrow and i think I'll make a pumpkin, onion and feta quiche. It really did make a large quantity of cheese and so I think Naomi and I might make an afternoon of it once a month. Sounds like a plan. Oh, the cost for all this knowledge, lunch, garden tour and a whole lot of chatter was $80 from 10 am to 2.30 pm. I wish there was smell links in blogs. Craig gave me a whiff of his vanilla extract. Just two pods of vanilla in a glass jar of vodka. It smelled devine and he uses it just like vanilla extract. He also makes limoncello made from lemon (Doh!) rinds and again, vodka. Do you remember my post of fruit trees. 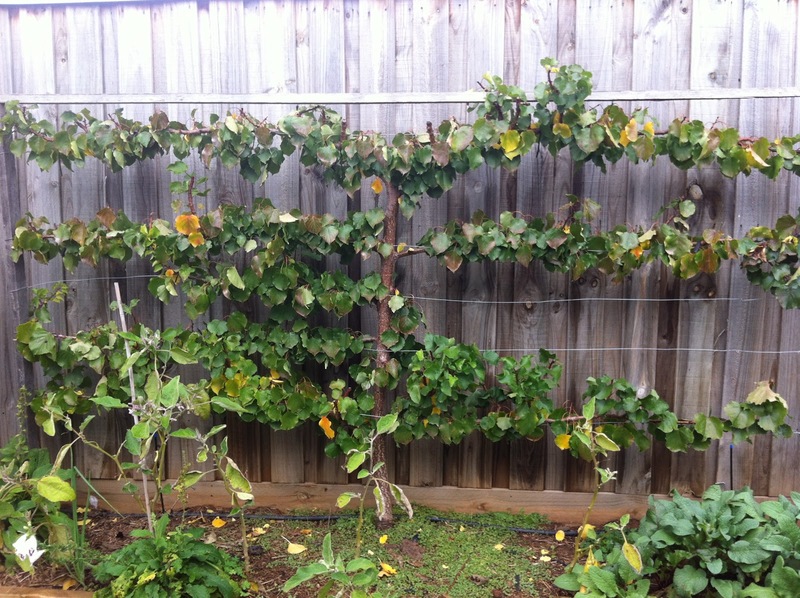 Craig is Production Manager out at the Werribee Heritage Orchard so i guess you gotta figure he might have a few espaliered fruit trees in this back yard. Each one has multiple grafts with different varieties. He has apricots, 2 trees with 3 varieties of apples, miniature pear, passionfruit, nectarine and peach plus a plum tree with 3 varieties. Bees, 70kg of honey from his one hive this year. If you are in the Wyndham area and are interested in hosting a hive then contact Craig at Edible Gardens. He's on a mission to increase pollinators in our area so our trees will fruit. 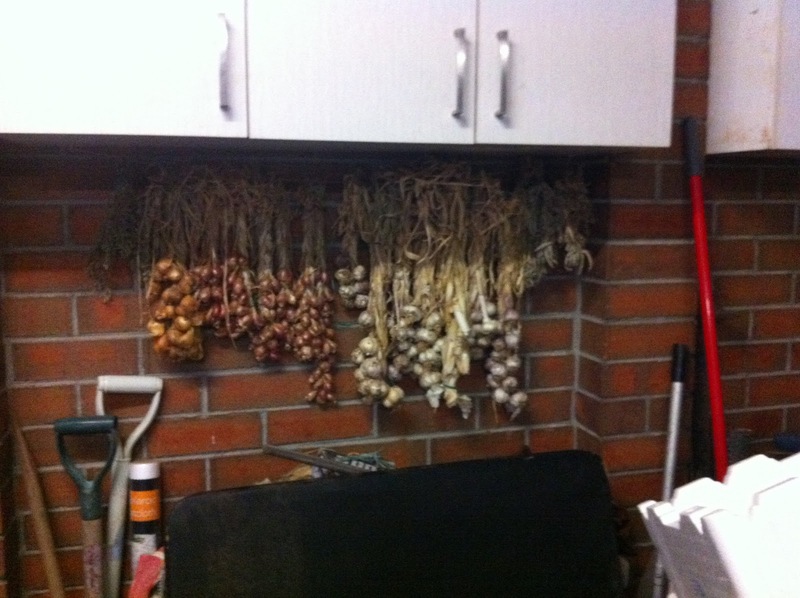 His drying garlic and shallots - in one of the workshops he taught us how to plait these. 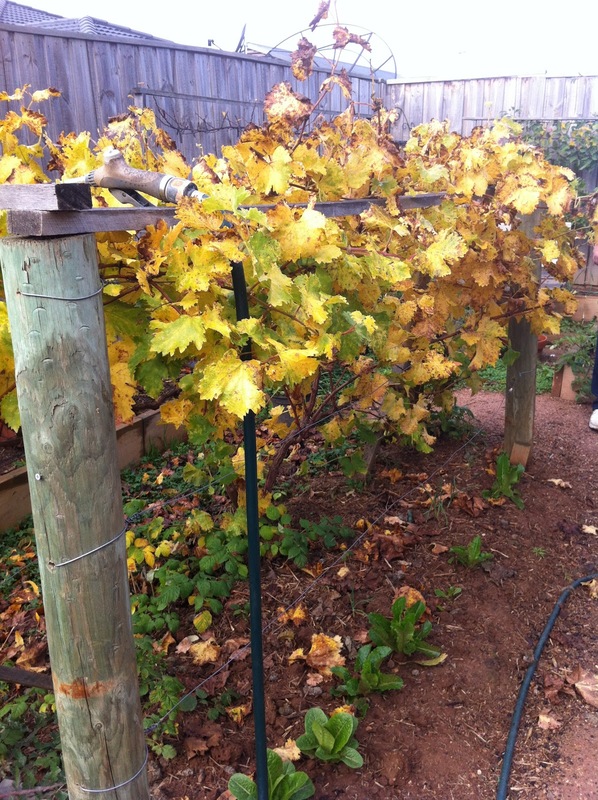 This grape vine is underplanted and is supported by 4 poles in a rectangular shape. 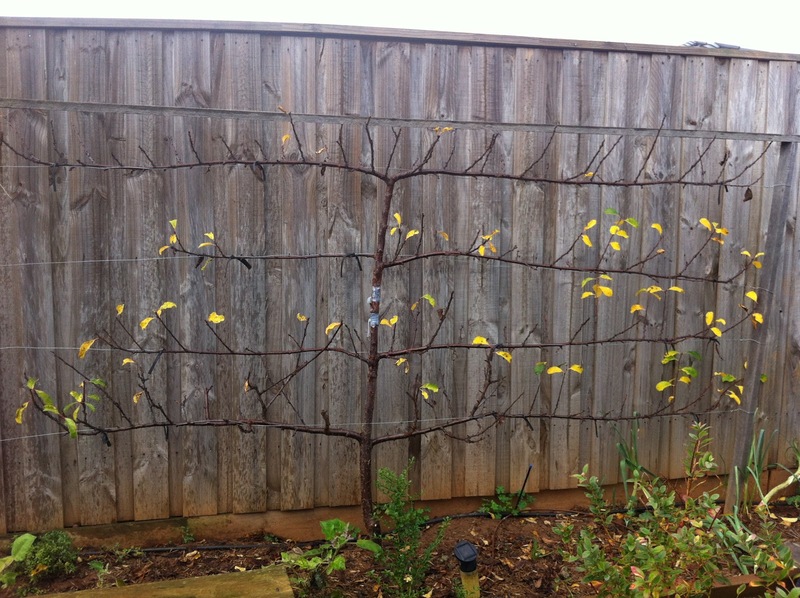 It produced 20kg of fruit this year and hardly took up any room at all. I've gotta say, I'm inspired. My yard is actually bigger than his and he has 3 times as much going on. I think ill be requesting his services to drop by and give me some advice. I had never had Jerusalem Artichokes before. 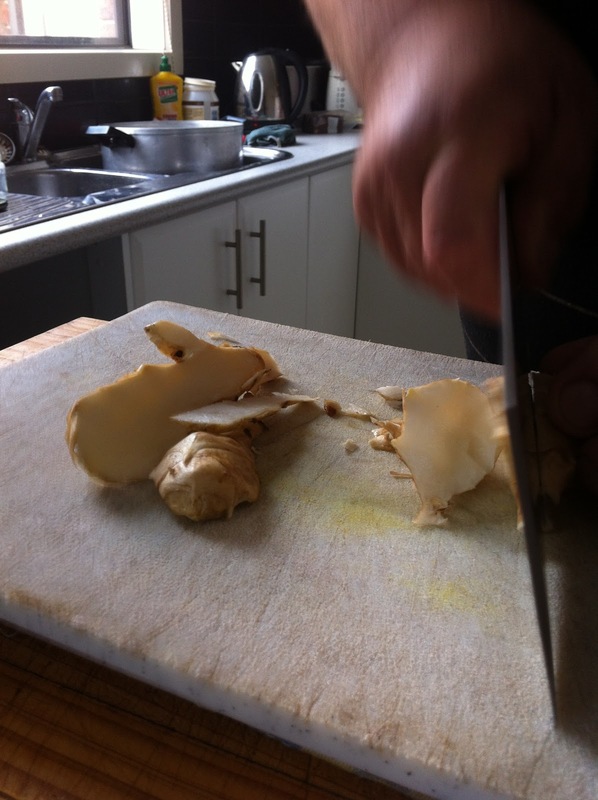 Craig sliced these massive tubers from his garden thinly then lightly fried them and added a sprinkle of salt. They were divine and very more-ish. He did warn me about the possibility of wind but he should have put out a gale force warning for a hurricane. Goodness. Luckily it was all air and no substance. No pictures but he made us a chicken and mushroom risotto with wine for lunch. Not a fan of mushrooms but it wasn't shabby and its always great to see a man who knows his way around a kitchen. OK, I've done it again and its 12.30am and I'm looking at another 4 hrs sleep tonight so i am going to wrap it up. So much more to say but then maybe I am all air and no substance. Hopefully not. Did I already say, great posts by the way. Seriously great. Thanks Girls. It is great to learning new things and to be passing on the knowledge. I only hope that people read from a professional source first. This was just an intro so that those thinking of making cheese wont be scared off thinking its too hard. Gosh, im going to have to do an update and correct some grammar issues. I must have been tired. Nice cheese Lynda. 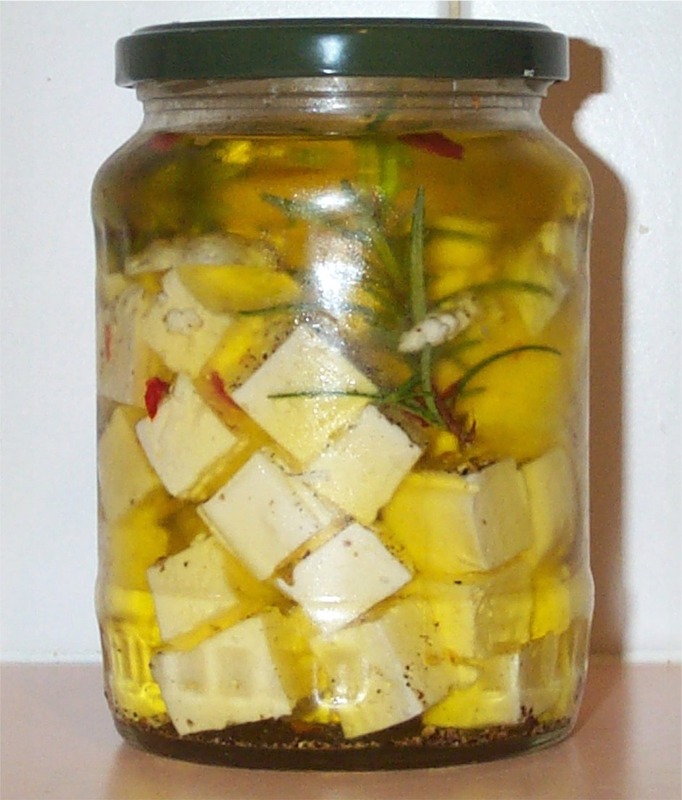 That jar of marinated Feta looks strangely familiar. I couldn’t pick up my photo from my phone but wanted to put one on to show what I had done. I get so frustrated with my lack of tech knowledge. I also had one of the vanilla pods in vodka and I could see it on phone but it wouldn’t go onto my pc. I hope you don’t mind using the image from google, I didn't know it was yours or I would have credited you. As soon as I work this problem out, ill put mine on instead and update. No harm done. When you make your own, use 50% sunflower oil and 50% olive oil and store it in the fridge. It will save you from botulism and the oil will stay clear. Bugger, I didn't do that. Can I drain it and do it again without a problem. I only bottled it Tuesday. Why would sunflower oil prevent botulism?